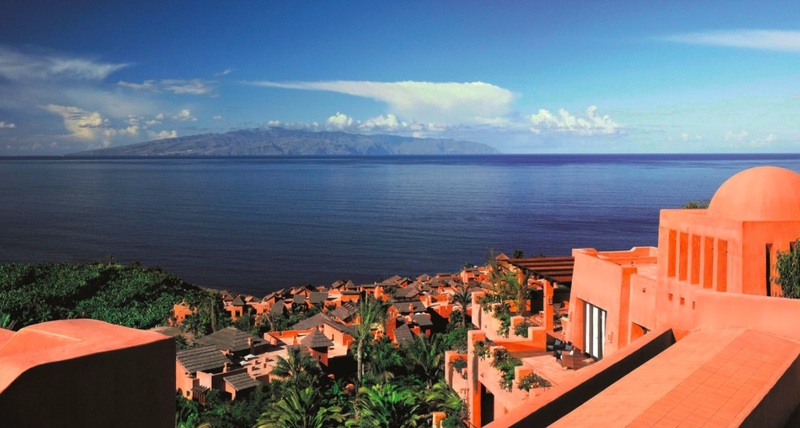 Abama is a careful fusion of architecture and subtropical vegetation integrated into each one of its services, 5 star Luxury Hotel and Villas, Abama Golf Course and Academy, first-rate Cuisine, Wellness & Spa Centre, Congress and Convention Centre, Tennis Club, Jetty, Beach Club and Abama beach. 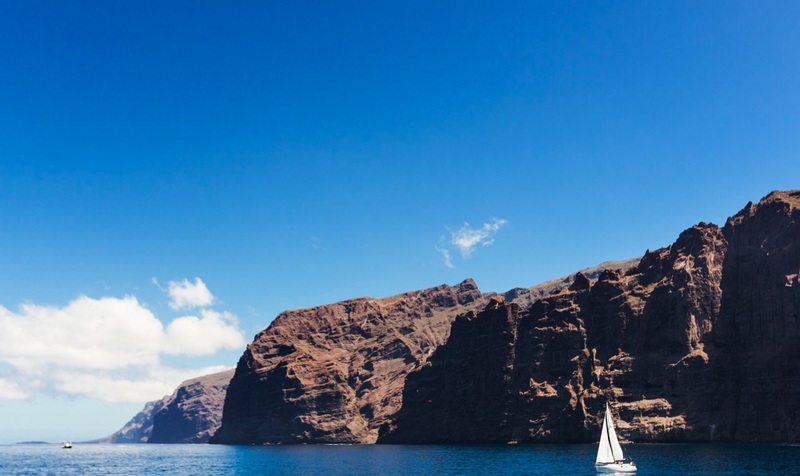 Abama features volcanic landscapes, exuberant vegetation with over 300 varieties of plants, trees and palm trees, with breathtaking panoramic views over the Atlantic Ocean and the Island of La Gomera. 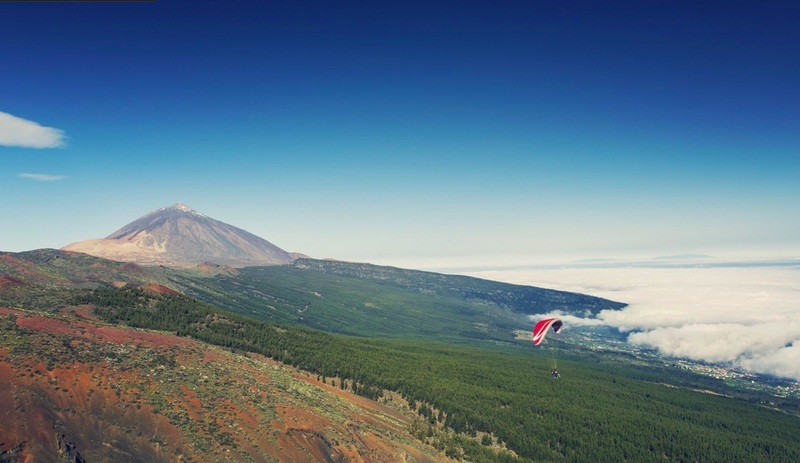 With a spectacular situation on the South West Coast of Tenerife on the smooth slopes of the Teide, the highest peak in Spain, Abama is set on breathtaking landscape that runs all the way down to the ocean and features its exclusive beach. 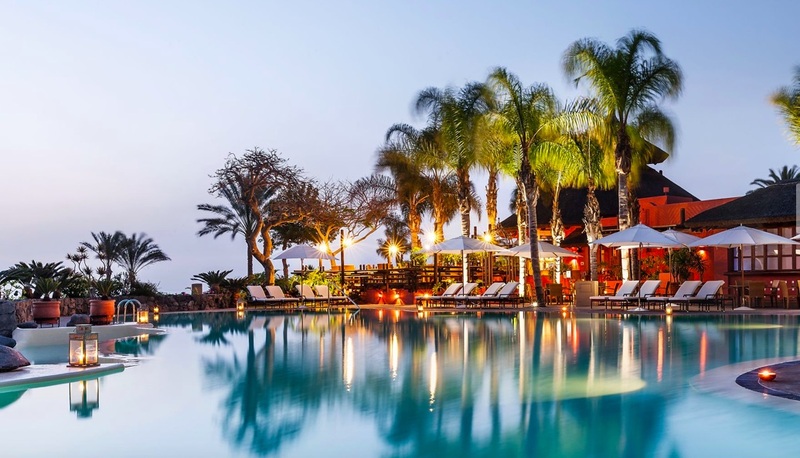 Surrounded by centenary palm trees, Abama is a destination in itself, with products and services designed to ensure a truly unique experience. The ethnic design and African influences of the hotel provide an exceptional location from which guests can relax and discover the beauty of the island. 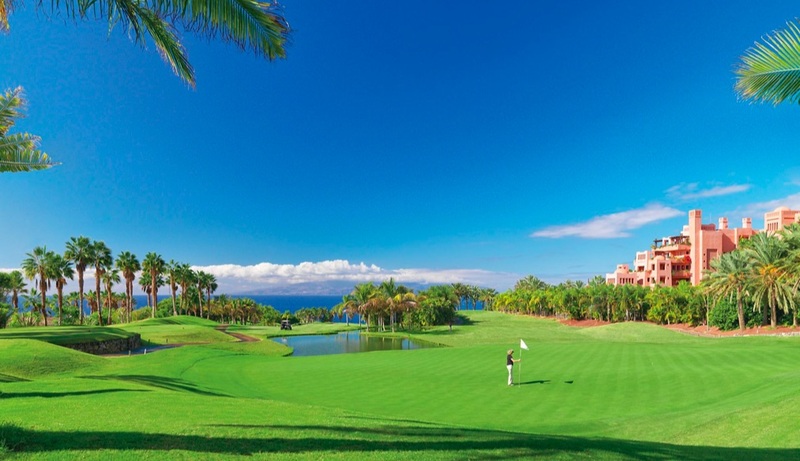 Resort Golf: Abama Golf, 18-hole golf course, par 72. 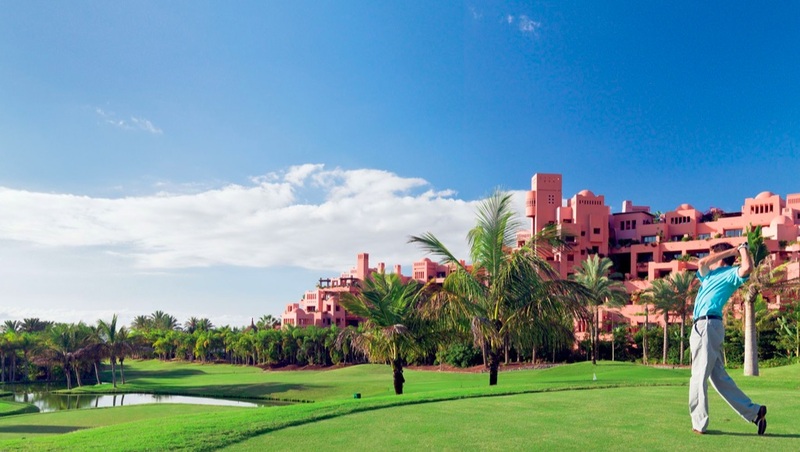 Golf Tenerife - Gran Canaria offers reduced green fees on Abama Golf, Amarilla Golf, Buenavista Golf Club, Costa Adeje Golf Club, Golf del Sur, Las Americas Golf and Real Club de Golf de Tenerife for clients staying at Ritz-Carlton Abama Golf Resort. 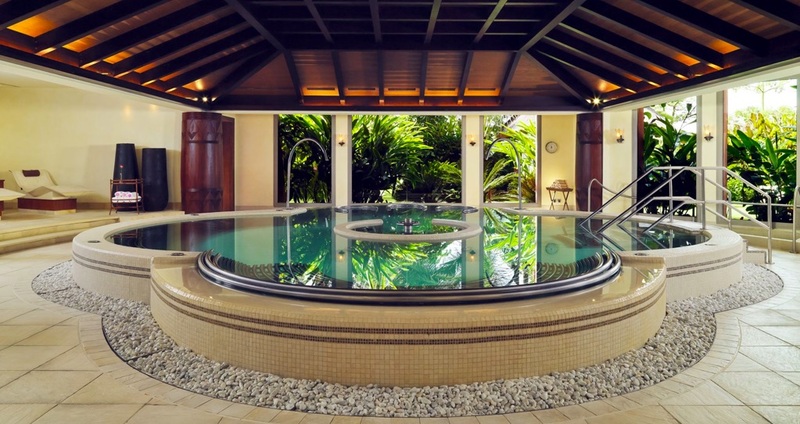 •	Jacuzzi and hydrotherapy pool at the spa, Thermal circuit and complete Fitness Center. 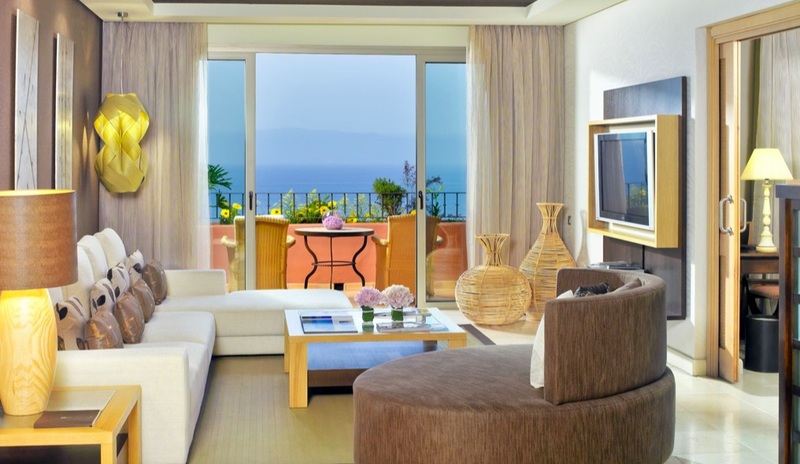 469 guest rooms and suites are divided between the Complex (321) and Abama's exclusive Villas (148), most of which enjoy magnificent views over the Atlantic, the golf course and the beautiful gardens. 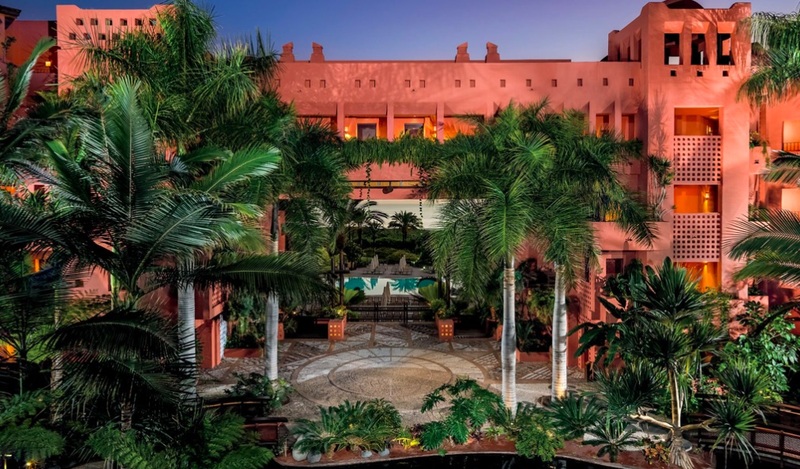 The Complex at the hotel combines ethnic architecture with a Moorish feel in almost all of its many guest rooms and suites. • ALL rooms and suites in the Citadel, Villas, TAGOR and CLUB now have a kettle. The citadel is the heart of the Abama complex. 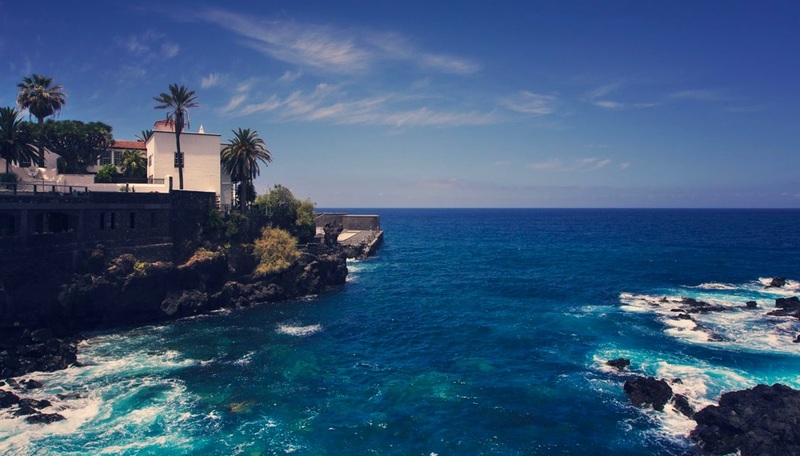 Here you’ll find most of Abama’s bars and restaurants, its library and screening room, its decadently indulgent spa, its secret gardens, ornamental lakes and swimming pools. 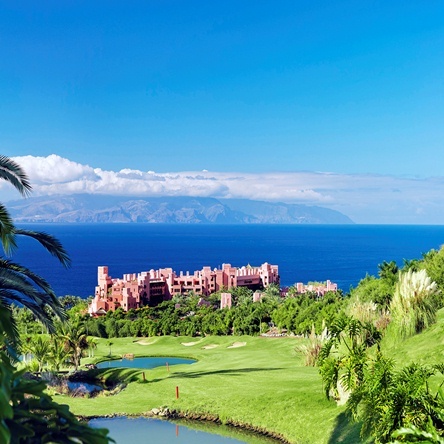 The citadel is ideally situated between Abama’s beach and its golf course, both within strolling distance, or reachable in two minutes by chauffeur-driven buggy. 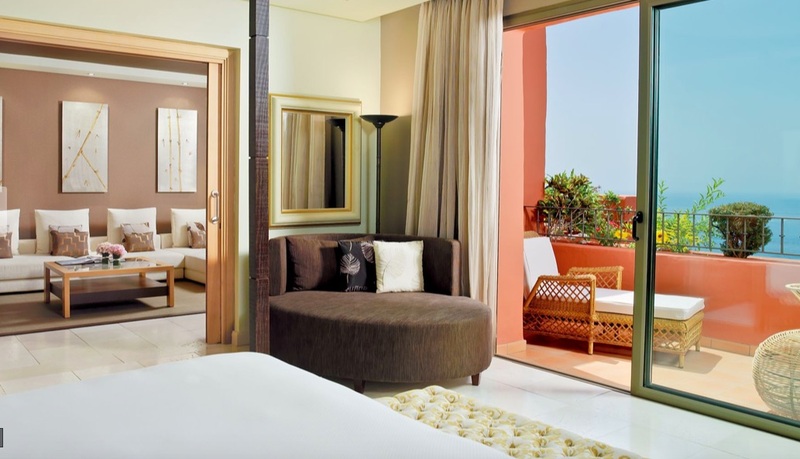 In the citadel there is a choice of a deluxe room or two categories of suite accommodation. 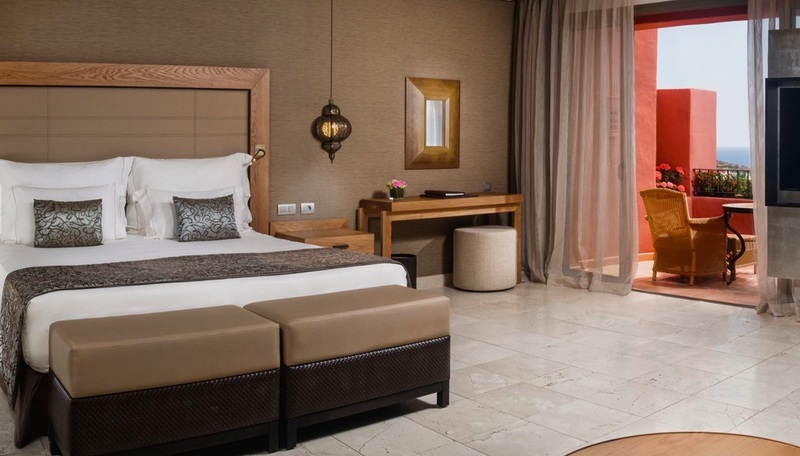 The rooms’ interior design makes use of local materials such as Canary Island pine, and each comes equipped with a king-size bed or twin beds, a spacious fitted oak wardrobe with coat and shoe racks, a chest of drawers and state of the art audio-visual equipment. Enjoy a refreshing shower or relaxing soak in the marble bathrooms, each with large tubs, a separate shower stall, and complimentary brand-name bath products, before drinking in the magnificent view of the Atlantic, the golf course or the gardens from the comfort of your private furnished terrace. Hidden among the botanic gardens tumbling down from the main citadel towards the ocean are the villas, combining exclusive luxury with blissful seclusion. 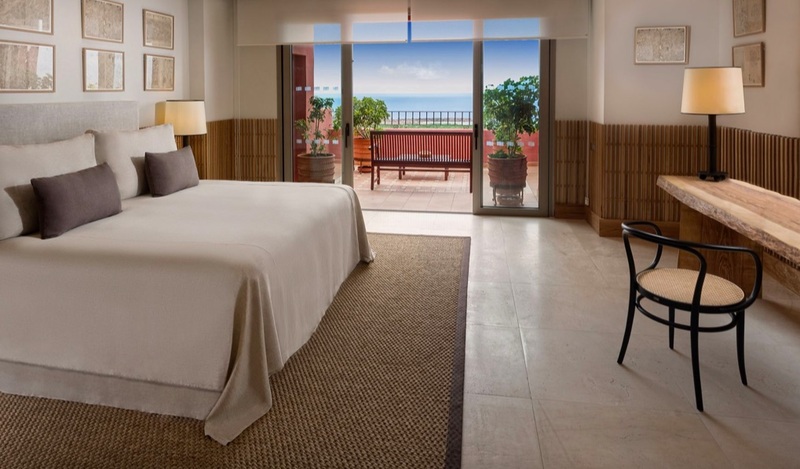 Abama’s villas rooms are oases of calm designed for guests and families in search of ultimate escape. 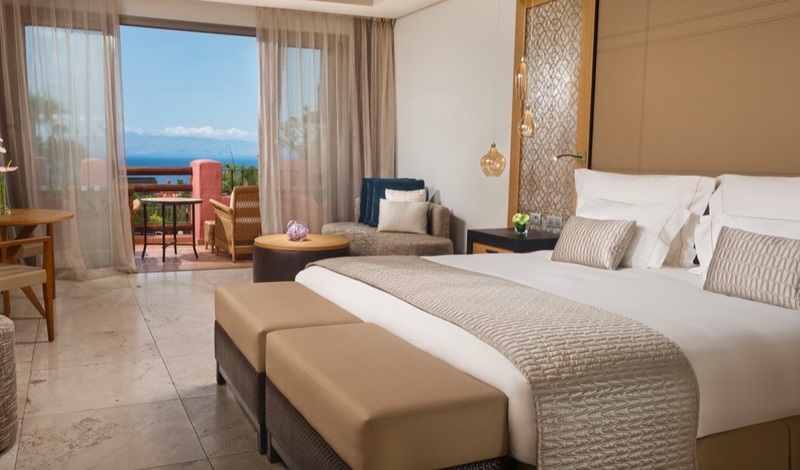 As well as enjoying all the amenities of the citadel rooms, each row of villas has access to an exclusive pool, wonderful ocean views from its top floor rooms, a high, pitched ceiling with exposed beams and a four-poster bed. Full room service and transport to any other part of the complex are available at your request. Tagor’ Villas are an entire row of luxury rooms and suites in villas reserved just for adults. M.B: M.B is the signature restaurant of the renowned Basque chef Martín Berasategui who has earned a total of seven Michelin stars. 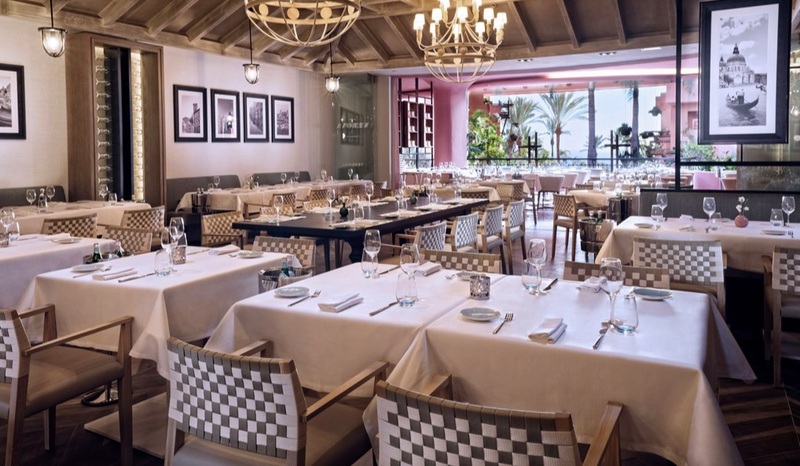 The restaurant headed in Tenerife by Chef Erlantz Gorostiza was awarded its second Michelin star in 2013. Children allowed from 6 years old onwards. Kabuki: This restaurant is overseen by the Spanish chef Ricardo Sanz, who is justly famous for his clever fusion of traditional Japanese influences and modern Western culinary techniques. 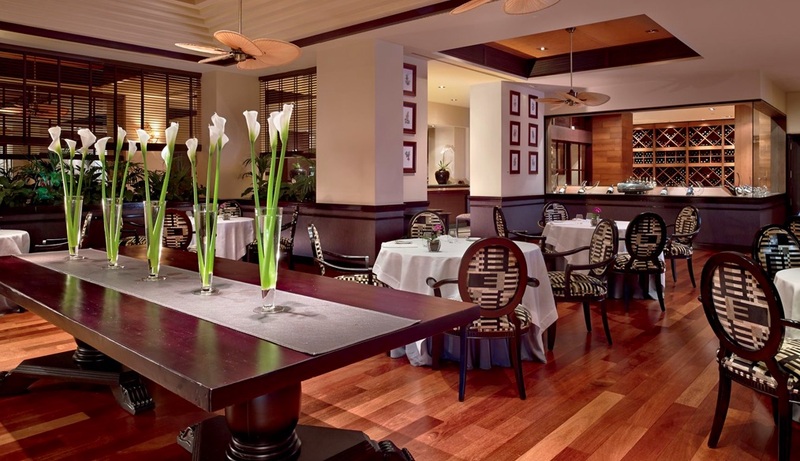 Abama Kabuki has been awarded with its first Michelin star. Children allowed from 6 years old onwards. El Mirador: El Mirador specializes in locally sourced seafood and benefits from a wonderful outdoor terrace, garden and its own secluded infinity pool, where you can drink in the view of the sunset with some poolside tapas or a cocktail. El Mirador is also opened for dinner. 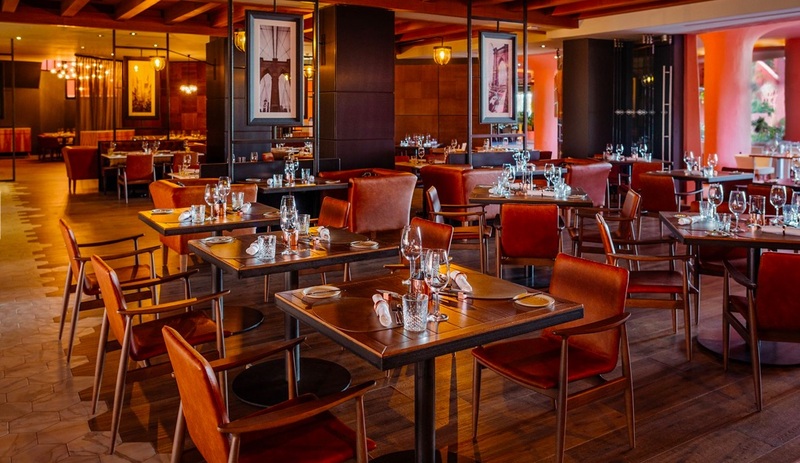 Pampa Verona: At Pampa Verona, guests can choose between Italian staples such as fresh pasta dishes or Argentinean classics like hearty steaks grilled to perfection on an authentic parilla. 20/20 Steakhouse: 20/20 is inspired by a menu featuring the finest selection of 20 meats and 20 sophisticated wine categories where diners are presented with a wide choice of cuisine. 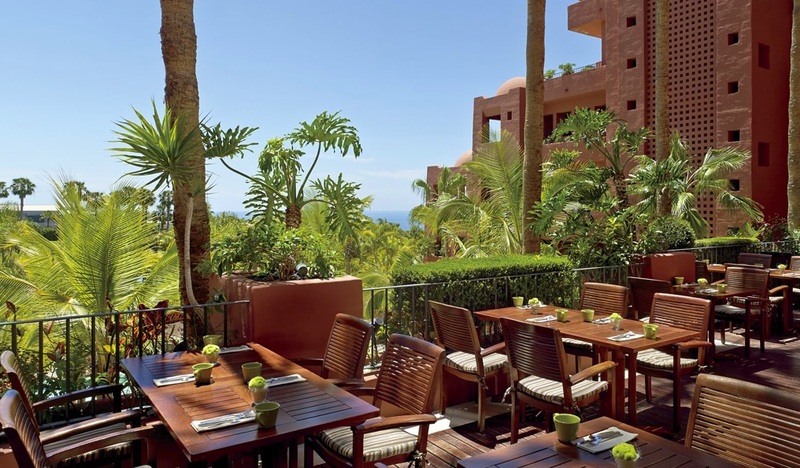 La Veranda: La Veranda serves a buffet breakfast until 11 am every morning either indoors or on the sunny terrace. Los Chozos: Los Chozos is situated next to Abama’s luxurious main swimming pool, and serves light snacks, refreshments and cocktails to poolside sun loungers as well as more substantial lunches in its main dining area. 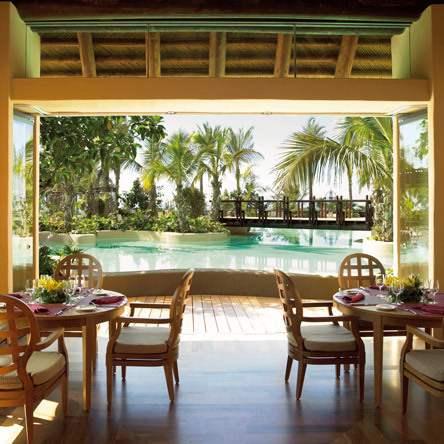 Casa Club: Right at the heart of the golf course, surrounded by luxuriant palm groves, Casa Club is an idyllic spot for a light lunch between holes, or an early evening cocktail. 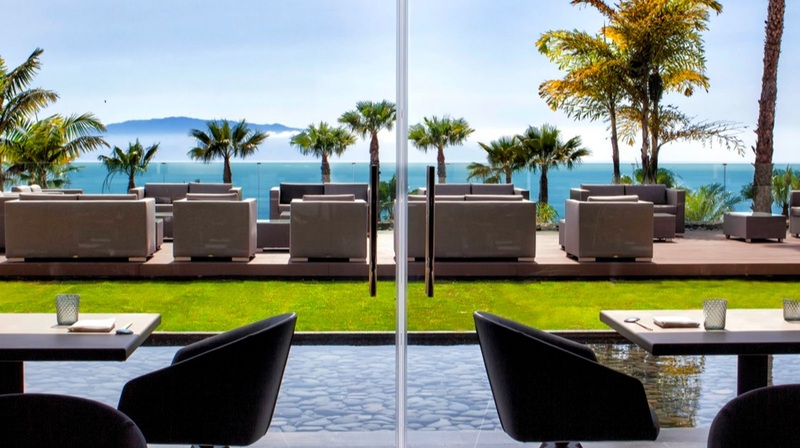 The terrace offers stunning ocean views. 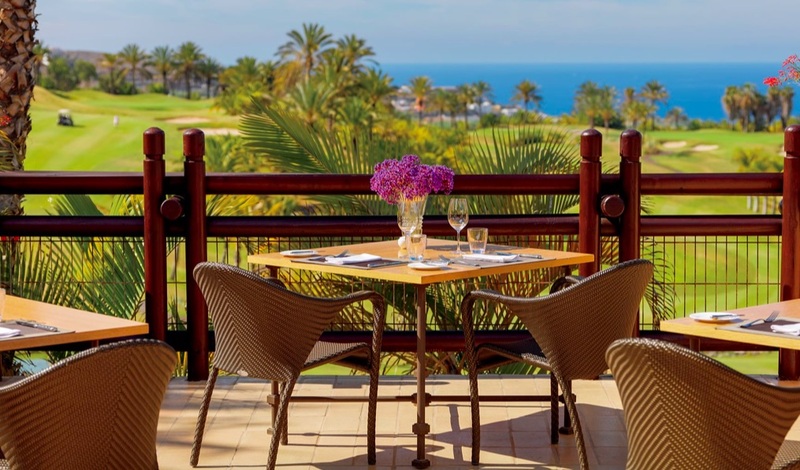 Beach Club: Situated on the beach facing La Gomera Island, the ocean-front Beach Club restaurant serves freshly prepared food, refreshments and cocktails until sundown. Spa Café: After an indulgent spa treatment or a strenuous gym work-out, unwind in the spa café, serving a variety of refreshing herbal teas and fruit juices to rehydrate your body and soothe your senses. Wine Bar: Featuring 20 grape varieties representing every area of Spain and the Canaries, the Wine Bar also serves traditional Spanish tapas. Lobby Bar: Enjoy live piano music and cocktails either from the comfort of the grand interior or the intimacy of the outdoor terrace. Tanganika Bar: Enjoy lounge music and classic cocktails mixed to perfection in an atmospheric setting decorated with African-inspired art. Sports Bar: Enjoy the big match with a proper pint of beer and pub food in the Sports Bar, styled on a traditional English pub. Tennis and Paddle Courts: Seven tennis courts, all of a professional standard, with court lights and flexi-pave surfaces. The centre court has capacity for 600 spectators, and the six other courts all have spectator stands. There are also have four illuminated paddle tennis courts with Astroturf surfaces. The Abama Sanchez Casal Tennis Academy follows the teaching methods pioneered by famous tennis players Emilio Sánchez Vicario and Sergio Casal. Personalised lessons and intensive courses are available for tennis players of any level. Each Abama Total Wellness programme starts with a consultation and diagnostic with one of the fitness and nutrition experts, helping to design an integrated package of spa treatments and exercise routines perfectly suited to your body’s requirements. Five Pillars: Abama Spa is also a truly holistic spa experience structured around the five pillars of wellbeing: rejuvenation, relaxation, revitalisation, balance and beauty. Hydrotherapy: Plunge into a sea of sensations in the thermal water circuit, inspired by the ancient Roman tradition of sequential thermal bathing. The centerpiece of the suite is the stunning hydrotherapy pool, with a range of jets and water features designed to stimulate and purge the lymphatic system. 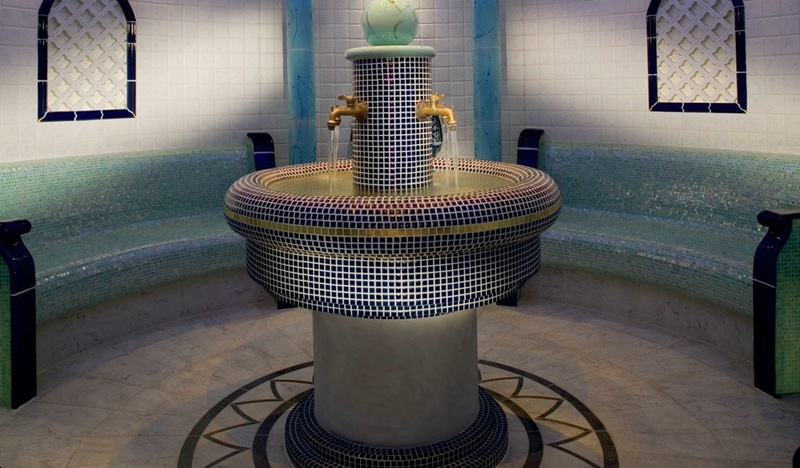 The suite also contains a sauna and a range of steam rooms including a fully equipped Turkish hammam. Other features include a cold plunge pool to activate circulation and an artificial snow cabin – one of the few in Europe. Open only for adults above 18 years old. East meets West at Abama Spa, where you can experience massages, therapies and treatments brought together from sub-tropical traditions around the globe, guided and performed by highly qualified multinational therapists. Shared Experience: At Abama Spa, there ae a choice of luxurious areas where two people can be treated in complete seclusion and privacy. Our Safari and Colonial suites provide private dressing areas, terraces and room service meals, as well as special facilities such as double massage beds and steam showers for two. 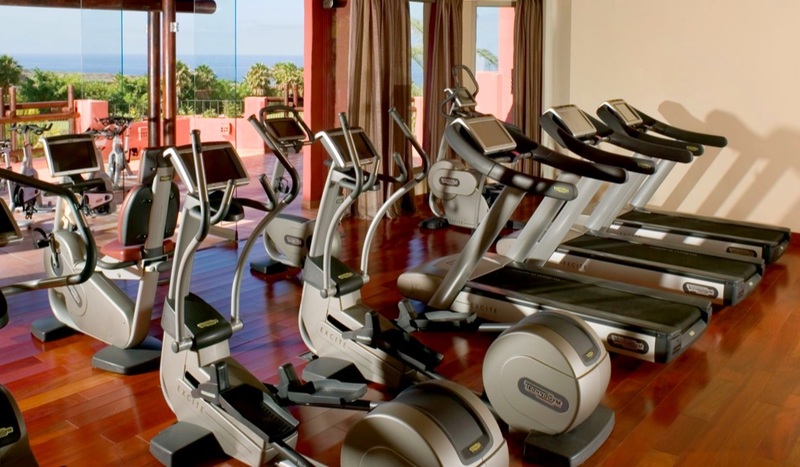 Fitness: Tone your body, improve your metabolism and boost your energy-levels with a work-out in the gym, offering a full range of state-of-the-art cardiovascular and weight-training equipment. Note: No minors (below 18 years of age) are allowed into the spa, except for the Gym (minimum age for the gym is 16 yrs) and hairdressing. Club Abami offers over 305 square metres of indoor space as well as its own outside play area. 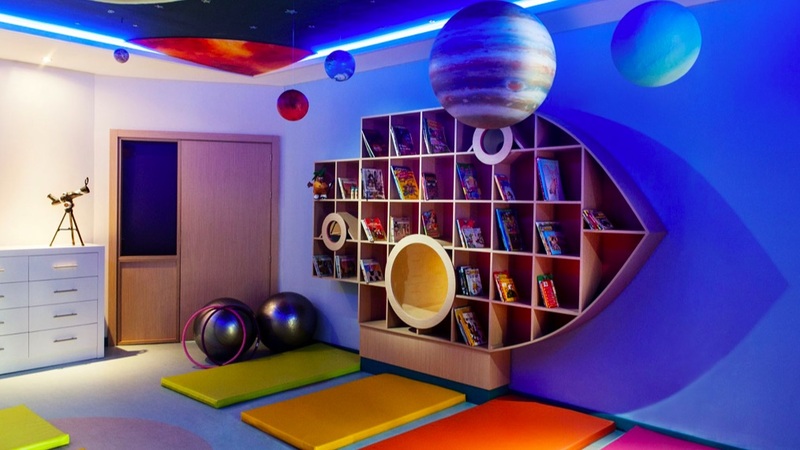 Eight diverse zones created to challenge and develop the minds of little ones, everything from astronomy to local wildlife, sustainability to the latest in technology, theatrical skills to arts and crafts, can be discovered and enjoyed in the fabulous new facility. 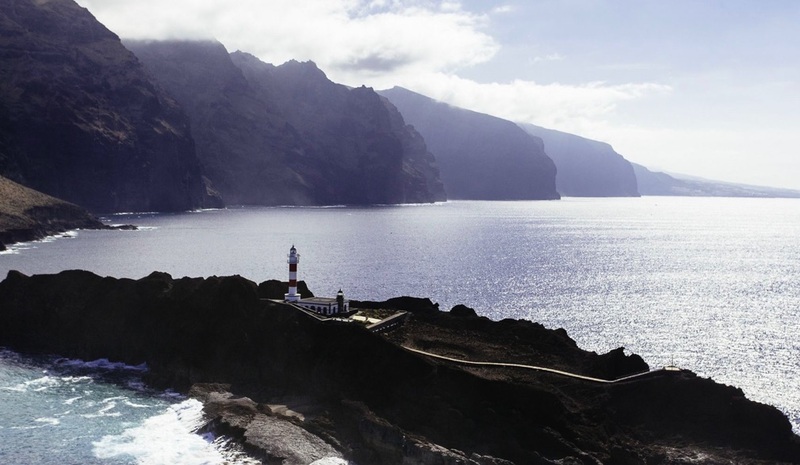 Guia de Isora region, on the southwest coast of the island of Tenerife, Canary Islands, just 25 minutes from Reina Sofia Airport. 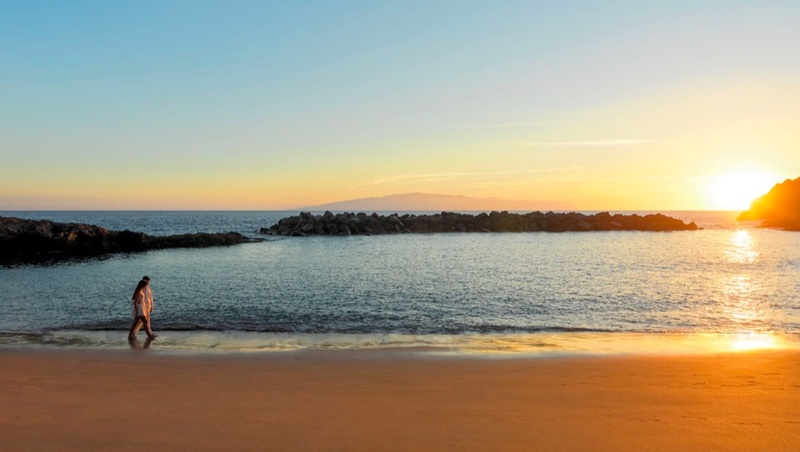 Abama, in Guia Isora, a municipality south west of Tenerife (Canary Islands), enjoys an average annual temperature of 22 degrees and a privileged location guaranteeing exclusiveness and privacy for its visitors. © 2018 Golf Sun Holidays Ltd.